Go self-catering Galicia with Casas Cantabricas and you'll have a choice of carefully selected properties from a restored old stone fisherman's cottage to a modern seaside apartment. All our properties are within easy reach of the sea, and are well located for exploring this beautiful province. 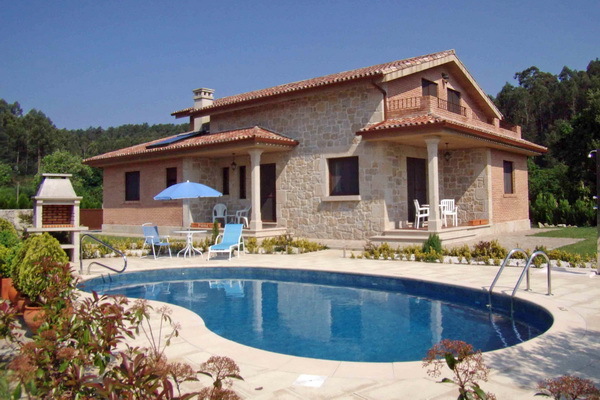 Lovely old stone house with stylish modern interior in beautiful countryside south of Santiago. 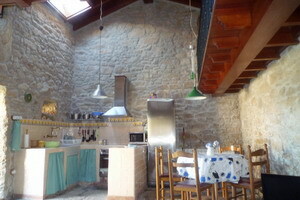 Cosy little cottage in peaceful hamlet overlooking Carnota bay - just a short drive to the beach. 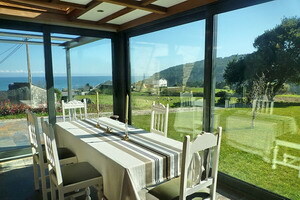 Stylish comfort right next to the sea, in a fascinating corner of Galicia. Like Wales (yest actually bigger than Wales) Galicia has its own Celtic language and, while Spanish is spoken and understood everywhere, Gallego is very much alive. The people are so friendly however that language doesn’t seem to get in the way. 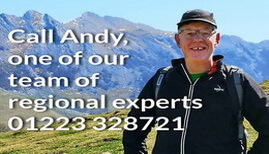 Many Gallegans emigrated to Latin America and throughout Europe to find work, but they do like to get back to their own green land. 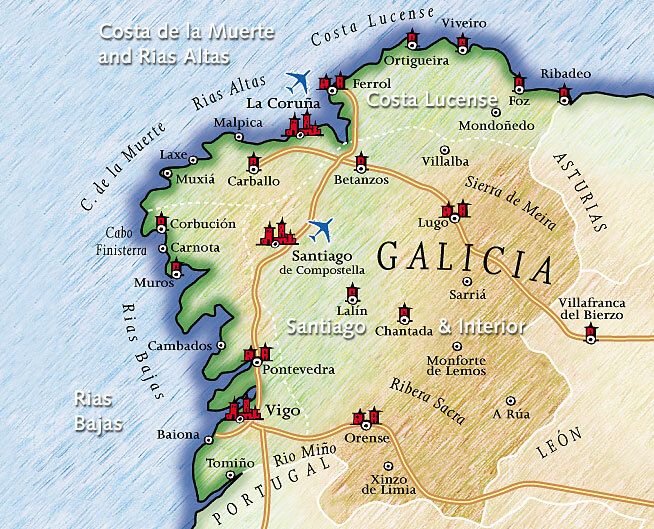 Self-catering Galicia with Casas Cantabricas is the best way to fully embrace this unique culture and get the most out of your holiday.